But one thing I’ve learned along the oft frustrating and depleting journey to clear skin is that simple is often the way to go. 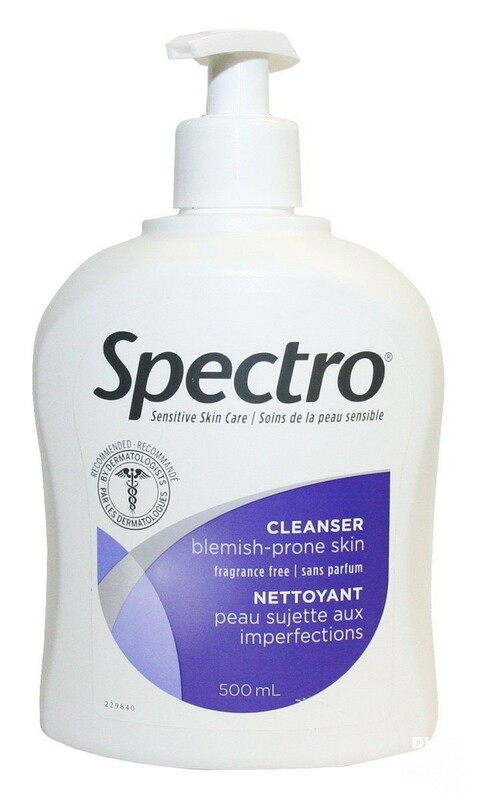 And so, instead of elaborate rituals on the cleansing front (that can make sensitive, breakout-prone skin worse), I often reach for a staple I’ve come to love and rely on after many years: Spectro for blemish-prone skin. Free of all the bad stuff that clogs pores, and irritates (i.e.,dyes, fragrance etc), the light formulation not only feels great on the skin, but quickly removes excess dirt, oil and bacteria that can lead to dreaded eruptions. ADDED PERKS: It duels as a fabulous makeup remover, even on the peepers, and is a fiscally responsible buy at any beauty emporium, pharmacy or online purveyor. For more info and/or to purchase, go to SPECTROSKINCARE.COM.